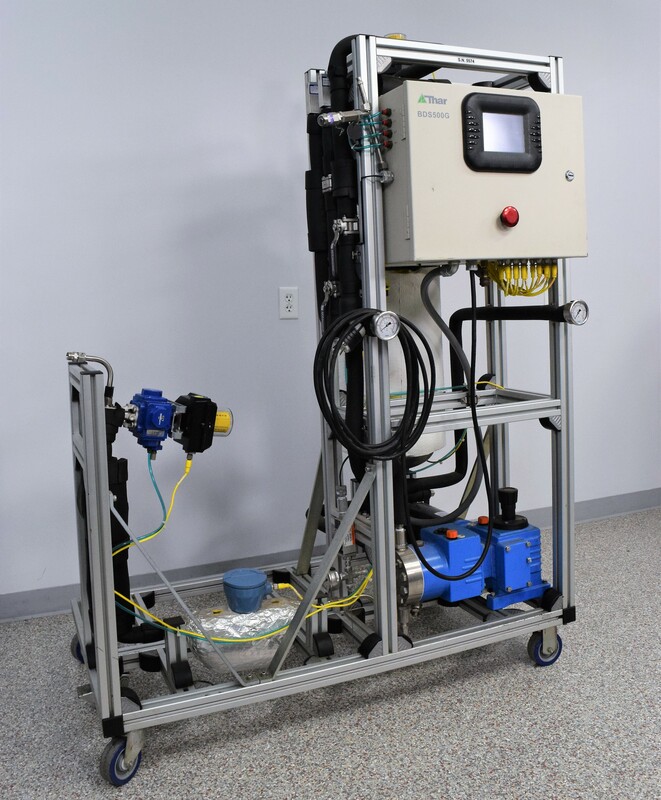 Thar SFC BDS500G Supercritical Fluid Delivery System Bulk w/ 35L Receiver . New Life Scientific, Inc. This Thar BDS500G was tested by our technicians: including the pumps, air flow and solenoids. It is in good cosmetic condition with only minor wear. The Waters Supercritical Fluid Delivery system enables the user to deliver high pressure CO2 flow rates without noisy pneumatic pumps. There is a 35L receiver into the column. This instrument is warranted to be functional and is protected by our 90-day warranty. Our in-house technicians did inspected this Thar BDS500G and found it to be in good cosmetic condition with only minor wear. The pump, air flow and solenoids were tested.